Established back in 1992, The Original Candy Company is a modern, forward-thinking candy confectionery company, and the sister company of Chocca Mocca - a small, unassuming gathering of fine chocolate aficionados who work tirelessly to create an exciting portfolio of sumptuous fruits and nuts smothered in top-notch chocolate. 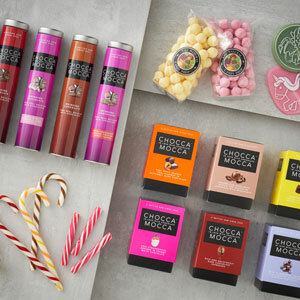 Already one of our treasured, long standing clients, Chocca Mocca instantly turned to us when their website was in need of an overhaul. Our creative team couldn’t wait to get their teeth into this scrumptious website brief (we’re suckers for the sweet things in life). 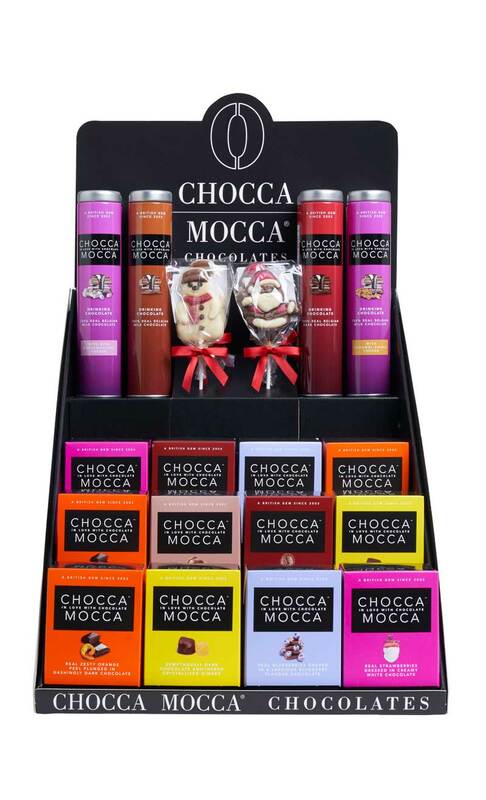 Chocca Mocca required a top-notch website that would perfectly reflect their premium quality range. Not only did it need to mirror the colours of the product range, but it had to be bright, bold, fresh, clean and contemporary in order to appeal to a younger audience. And with all of the products being made in the UK, the union jack flag was a vital element for the graphical design of the website. At each stage of the design we ensured the branding guidelines were adhered to and working in a few stages meant the Chocca Mocca team had the opportunity to make edits and impact every stage of the build. All product imagery was pre-supplied and the majority of copy, however our team put their creative stamp on some content elements of the site. 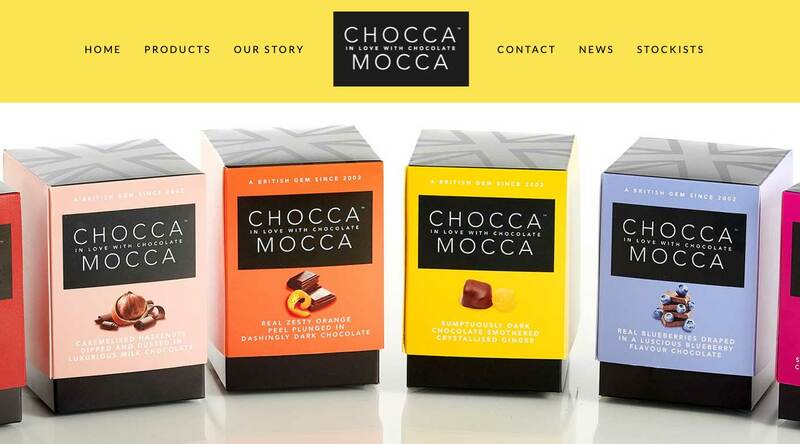 In order to make the website as user friendly as possible we ensured a platform was used that Chocco Mocca could easily manage and update. The chosen platform makes it is easy to integrate different elements to the site and make product updates or additions in a timely manner. The Food Marketing Experts did a fantastic job at interpreting our website brief. The new site not only reflects the Chocca Mocca brand credentials, giving a fresh, contemporary look but it is also incredibly easy to use for our internal team. The Food Marketing Experts creative team guided us through the project, and from start to finish we knew with absolute certainty that we were in good hands. We’ve had so many compliments about the new website, which is reflected in the sale increase. All in all, a fabulous job.